Born in Reading, October 1939. Three children and three grandchildren. Lived in Wokingham until 1945, moved to Kent and educated at Simon Langton Grammar School, moved back to Wokingham 1956 with parents who were local business people. After bringing up children worked for a number of local firms, for final 16 years prior to retirement as Commercial/Legal Manager for Granada Computer Services. Part time secretary for WADE for 6 years, then volunteer Fundraiser. Other charity work includes assisted fundraising for Air Ambulance, Alexander Devine Trust. Appointed as a WADE Trustee in June 2017. David graduated from Warwick University in mathematics before qualifying as a chartered accountant with Deloitte's in Birmingham. He held senior financial roles in engineering with Lucas Industries, and the retail sector with Sainsbury's, before moving to Berkshire when he was appointed Regional Finance Director of Bryant Homes for the South of England. He has over 20 years experience in the housebuilding industry with responsibility for all aspects of financial management including strategic planning, investment appraisal and internal control. 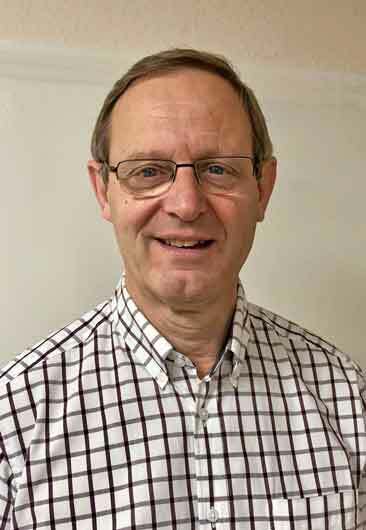 Between 2008 and 2018 he was a Non-Executive Director and Audit Chair of Berkshire West PCT and latterly Wokingham CCG. David has two sons and he and his wife, Judy, live in Wokingham. Victor Forsyth. M.A. ( Hons.) Cantab. Modern Languages. Born in Norwich Sept. 1937. Married Patricia May, Christmas Eve. 1960, Four children. Wide international experience in Sales, Fire and Industrial explosion safety systems. R.S.C.M. chorister 1944 – 2014. Awarded Bishops Chorister. Moved to Wokingham in 1976. Served twice as Chairman for Wokingham Town Twinning Association. Member of Wokingham Choral Society for 37 years. Now retired. Born in Amersham in 1951 to a Yorkshire mother and Suffolk father who chanced to meet there during the war. Following a B.Sc. in Pharmacology from the University of London in 1973, worked in clinical research for the pharmaceutical industry until retirement in May 2016. Inspired to join WADE on retirement by fellow Trustees Carole and Chris Barnes. Lived in the Bracknell ward of Priestwood for eight years moving to Berkshire from Essex in 1996 and was elected Town Councillor for this Ward in 2015. A Trustee of a WADE since 2010 taking a brief period away to work for an Adult Social Care organisation also in Wokingham, before returning as a Trustee in 2012. Combines on-going support of the Labour Party and Trusteeship with a full time job delivering services to Local Authorities across the UK. Worked in Europe and the USA. Married with six children (three step) all now adult and combines supporting his family with a passion for sport and the arts. Born in August 1936. Married Jill Lowe in 1964. Two children, a son Robert and a daughter Sally. Joined the army as a Lance Corporal in Suffolk, 1955 and had a highly successful military career of 30 years both in the UK and abroad, before retiring as a Lieutenant Colonel responsible for the resupply of Northern Ireland rations, vehicles, clothing, weapons and ammunition. The Ark Facility (as a Trustee) and led a team that raised in excess of £1M towards building a centre of medical excellence, cancer research and training. Thames Valley and Chilterns Air Ambulance – helped to raise £140K with the support of a team through the organisation of eight dinners at Coppid Beech Hotel, Binfield. Help for Heroes & Combat Stress – led team organising two fundraising dinners, each raising £29k. WADE Day centre – assisted with many local fundraising initiatives in Wokingham. Elected as Chairman in June 2017. The Wokingham & Reading Lions Clubs – ongoing fundraising activities, organisation of fireworks displays and Grand National Event. January 2014 Awarded MBE for voluntary charitable services in Berkshire and North Hampshire. Presented by HM The Queen at Windsor Castle 18 July 2014. Since retiring, Stuart has spent his time giving back to society. 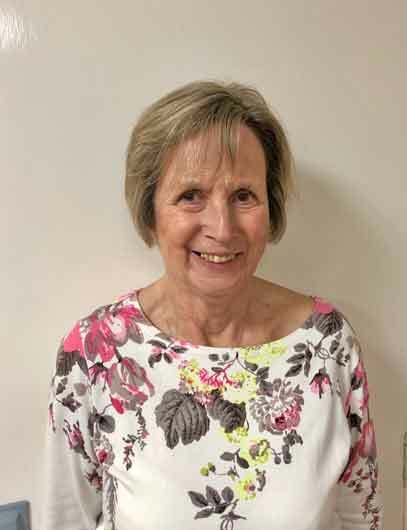 Yvonne has worked in Health and Social Care for over 20 years and is currently the Managing Director of the largest provider of homecare services in the UK. 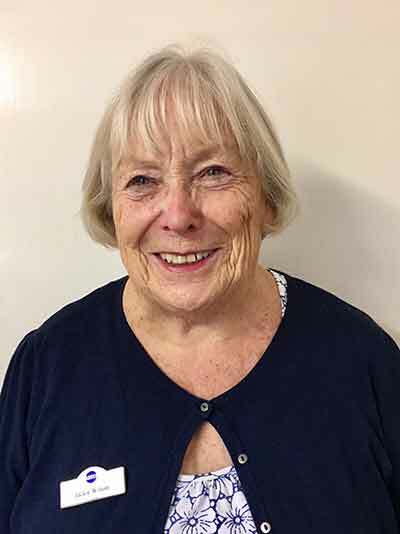 Passionate about providing quality care and support for older and vulnerable people and a resident of Wokingham for over 10 years, Yvonne is really pleased to be a part of this well-loved and much needed charity. Born in Maidenhead in 1957. Married John in 1979 and moved to Wokingham in 1980. We have three daughters and two grandsons. I have known about WADE since about 1995 when my mother and step father enjoyed being members. I have been a governor of local schools, fundraiser on two PTA teams and I like to be busy. In my time I have worked in a bank, an accounts department and I ran a bureaux of payrolls at a Chartered Accountants. I am now a part time exam invigilator at a local school. I volunteer at WADE and we have run painting, flower arranging and Pom Pom making sessions so far. I help in the WADE garden and at the Christmas and summer fairs. I am a keen supporter of WADE and congratulate them on excellent caring for the last fifty years. Here’s to the next fifty!